Here are storage solutions that are practical and can be bought off the shelf. I wrote this article after publishing our 50 storage ideas for small house as readers were asking how to implement the ideas they read to their homes. 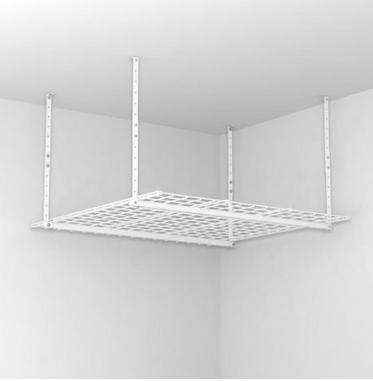 Realizing this is either not easy or too costly, this article is meant to give some off the rack storage solutions that are easier to implement. 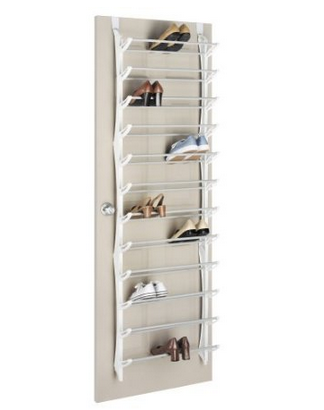 These steel hanger cascader is a storage solution that maximizes the use of space in your wardrobe. It is very cheap and yet is very functional. One of the best storage solutions that I can recommend to anyone with a small house. Ladies love shoes. That is a fact. 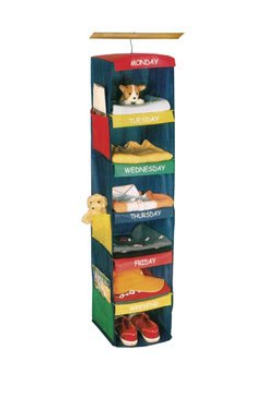 There is nothing inherently wrong with this except that it creates a shoe storage nightmare. Unlike clothes, shoes are difficult to store due to their un-standardized shapes. If you used a traditional shoe rack, it will take up valuable floor space. The best way is to use a hanging shoe rack. You can then hang one of these behind your closet door or main door. 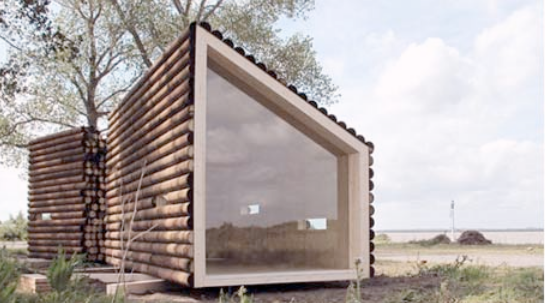 It is space saving and very affordable. One of the most under utilized space is the ceiling. 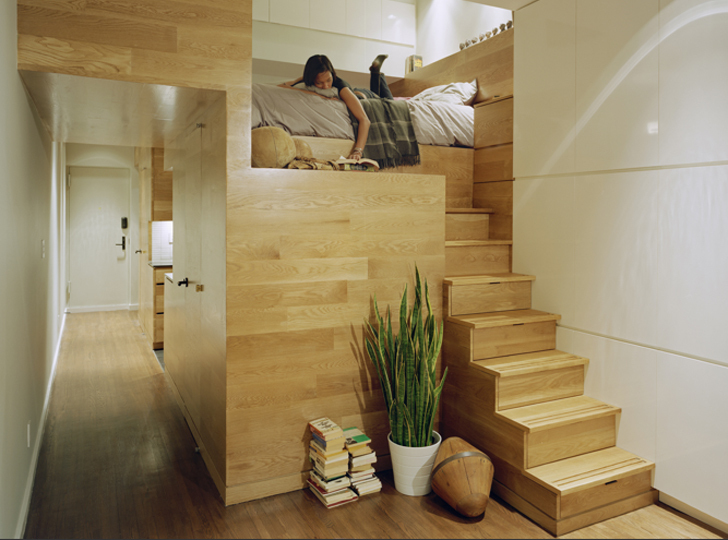 There are literally filled with empty spaces that should be used as storage solutions. Fortuntaely, it is very easy to remedy that mistake. All you need are overhead storage solutions, like the Hyloft overhead storage system pictured above. If you have a child at home, then you will know storing all his or her stuff is a pain. 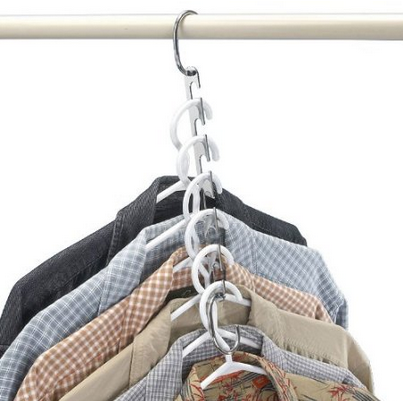 This hanging storage solution is just the relief you need for a small house. It has multiple storage spaces for you to organize the child’s items. 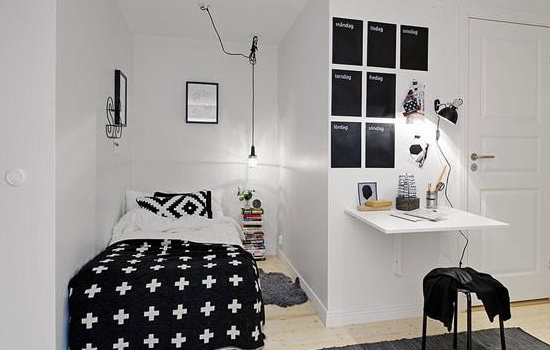 It also can be hanged, thus saving you precious floor space. This is very useful to hold key and mail. Without such a holder, you will probably leave them on the table, which can be messy and unorganized. 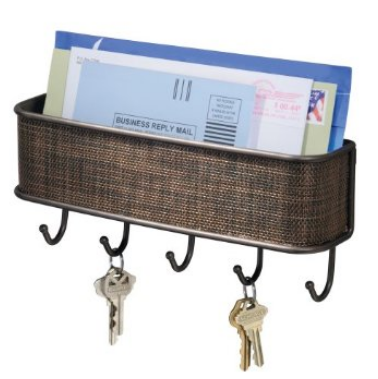 Using a wall mounted key and mail holder helps to save space and make your mail more organized. 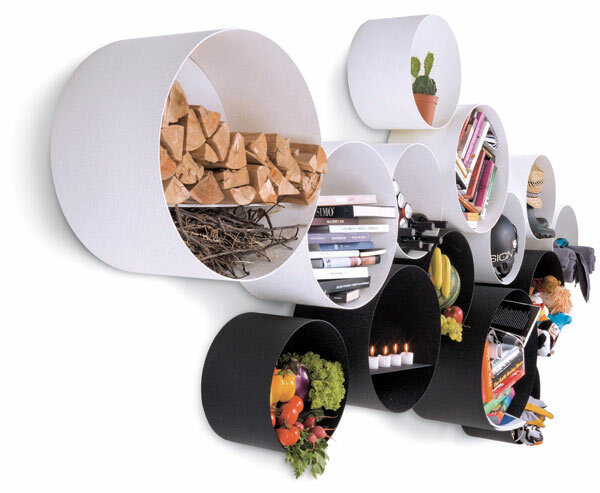 Hope you will find these cheap storage solutions useful for your small home!